Let’s gather on a beautiful Saturday morning for a creek clean-up! 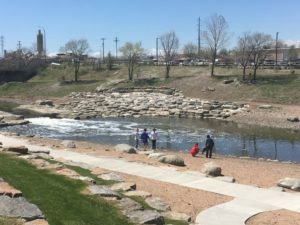 Meeting at River Run Park, we will collect trash along the South Platte River and Bear Creek, helping to make our urban waterways and environment a little cleaner! Materials and lunch will be provided. Groups are welcome. For more information and to sign-up, email Makalah@GroundworkColorado.org.